If you have limited credit options due to a poor credit history, you may be tempted to apply for any type of credit card you think you can get. Net First Platinum may come across your radar. The big bold letters saying “Guaranteed $500 unsecured credit limit” certainly sound appealing enough. Is this a good option for you? First of all, before you apply for any type of credit card you should take the time to read through their terms and conditions. In this case, opening those terms and conditions makes it clear that this is not actually a traditional credit card at all. This card is not affiliated with a bank, nor does it have anything to do with building a credit history. There is no Visa, MasterCard, Discover, or American Express logo on the front of the card. It is actually a “merchandise card” that can be used only on their shopping website. So what can you actually purchase with the card? That’s a really good question that is not immediately apparent. The card is good at their online store called The Horizon Outlet. Upon viewing the website, it appears that they offer a wide variety of products including clothing, toys, video games, and seasonal goods. In order to see what products they offer, you have to log into the website with the merchandise card number. Basically, you have to apply for and receive a card before you can even peek at the products or prices. 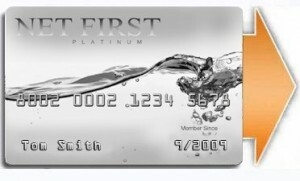 If you are still really tempted to get this card, it’s a good time to go back to the fine print on the card terms and conditions (www.NetFirstPlatinum.com) to see what it is going to cost you to have that $500 unsecured card available for use. First of all, once you sign up for the card, they promise that the card will arrive within five days to two weeks. That certainly sounds fair enough. Reading further into the fine print, you will see that all members are automatically signed up for their monthly membership benefit plan which is $19.95 per month. This benefit plan includes a variety of services including legal assistance and roadside assistance. Members who are enrolled in this plan do not have to pay a $6.00 monthly maintenance fee. Nowhere does it explain how to opt out of the benefit plan if you are not interested. There are additional fees that include a fee for establishing the account, a fee for signature verification of deliveries, and the standard fees if your payment is returned or paid late. The cloud of mystery surrounding what you can purchase with the card plus the fees that you will incur each month the account is open make it one of the more expensive types of credit out there on the market. The fact that it is only good at one online retailer and cannot be used for an emergency car repair, prescription, or other unexpected purchase makes it appealing for only a very small percentage of the population. In comparison, most users can get a payday loan for $100 that will cost about $25 per month until it is paid back. Even for someone desperate for credit, there may be better options elsewhere. There are many unhappy customers out there who have written online reviews saying that this is a bad company or that it is a scam. It really isn’t. Net First Platinum gives customers exactly what they say they are going to. The terms and conditions may be difficult to read because of the odd color of the text and background, but the company really does lay it all out there up front. Only you can decide if this is a credit option that you wish to pursue.